This interdisciplinary volume analyzes the strong links between the way we form our individual and collective identities and the type of society in which we live. 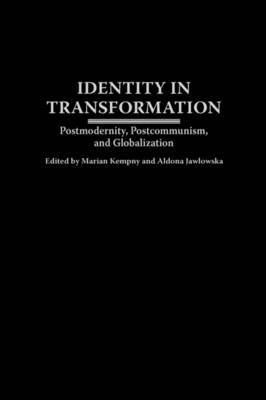 The contributors-who include sociologists, anthropologists, political scientists, and philosophers-focus on the issue of modern identity both on a conceptual level and in the context of European unification and progressive globalization. Among the issues examined are the tension between our fluid, situation-specific identity and our constant attempt to create a coherent image of the self; the transformation of identities resulting from the collective experiences of East European societies in the aftermath of Communism; and the interplay between the evolution of the modes of constitution of identity and the social changes determined by European integration.